Bournda EEC is a proud member of the Sapphire Coast Learning Community (SCLC) which is made up of 2 secondary and 14 primary Department of Education schools. The SCLC is the first choice for quality education on the Sapphire Coast. Strong partnerships for a sustainable future. We support NSW Public Schools to integrate sustainability education into all aspects of NSW schooling. CRJO is concerned with resource recovery, product transformation and material flows, with significant business development and employment possibilities for rural and regional communities. CRJO supports activities that link schools and waste educators in local government, NGOs and agencies to collaborate to reduce waste to landfill. The Atlas of Life in the Coastal Wilderness project enables everyone with an interest or passion for the natural world to contribute to an important work of reference. The aim of the project is to identify as many of the living creatures of this region as possible over the next years by engaging the community in citizen science activities. Bournda EEC is proud to assist the Atlas with the organisation of school Bioblitz days and is looking to assist schools engage with NatureMapr. The Sapphire Coast Science Hub is a group of organisations who have a common interest in things scientific and in encouraging everyone to engage with our environment and enjoy scientific activities to learn more. In Australia and globally, education is increasingly being recognised as key to achieving sustainability. 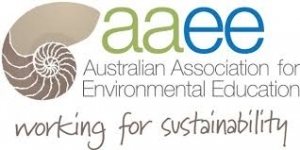 AAEE NSW is here to help environmental educators from all sectors to get involved, connect with others, and grow their knowledge and skills through professional development. Bournda EEC is working with AAEE on the Make the Change Sustainability Education Framework Skills Development Program to build and strengthen a Regional Sustainability Educator Network in the South East of NSW. If you are an sustainability and environmental educator and want to join in, please contact us. Bournda EEC has the great fortune to have linked up with Dr Ceridwen Fraser from ANU. Dr Fraser is the 2016 ACT Scientist of the Year and was our guest speaker during our Sapphire Coast Science Festival launch in National Science Week 2015. 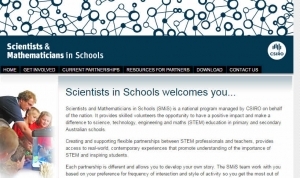 We are currently working on creating opportunities with local schools to connect with Dr Fraser and Bournda programs. Do you have students at your school who want to do something for the environment and promote sustainability? Environment clubs can help achieve meaningful change within school communities and inspire, motivate and give students opportunities to build leadership skills. If you’d like to help your students start up an environment club, or to reinvigorate an existing one, have a look at this online tool . Check out the “project ideas” section which has about 100 suggestions for interesting small projects that can be done by clubs. The annual Bega Valley CDAT camp is a valuable program which first ran in 2008. Students develop leadership skills with a focus on promoting healthy lifestyles and action on drug related issues, while camping out in the National Park. Activities include: kayaking; orienteering; the ropes course; creative programs such as music and art; challenge games and the Australian Red Cross save-a-mate program.